Hello there and how are we today? I hope you’ve all had a good week and are now enjoying the last bit of the weekend. I have had quite a busy week with one thing and another. A school production to see, school church service, doctor and dentist appointments. Not to mention the other clubs the kids go to, they have a much better social life than I do – but then again I don’t really get the time for a social life! Anyway, there was no post from me last week so I wanted to share these two cards that I have made for my Nephew who will soon be celebrating his 16th birthday. 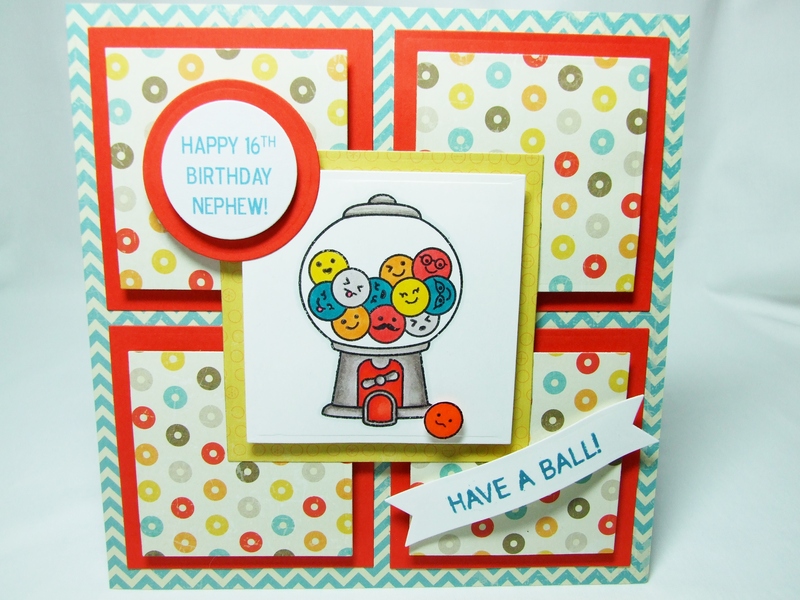 I saw a fab card by Lou Daubney on the Dies to Die For blog using a set from Lawn Fawn called ‘Sweet Smiles’ – this fab gumball machine! I thought it would be perfect for Tom’s card and I know I will use this a lot in the future.It’s cute without being too cute – not too cute for a 16 year old lad! 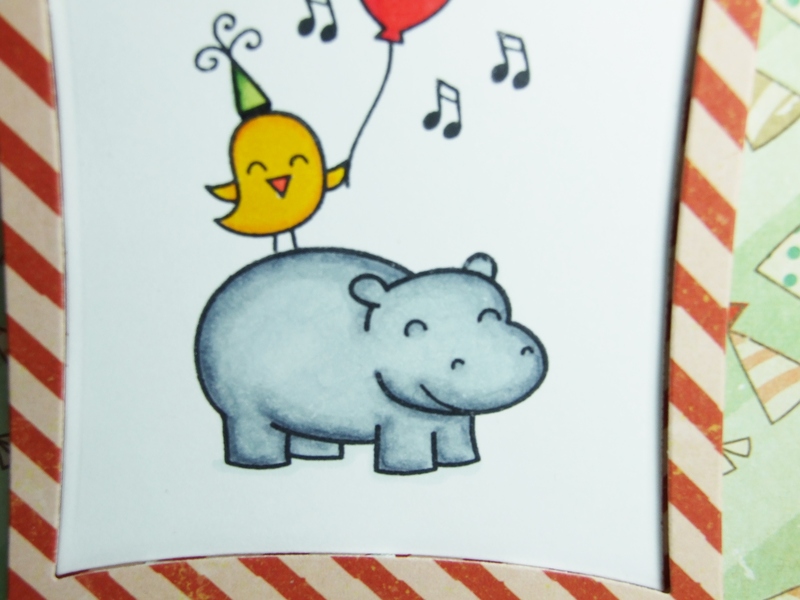 The other card here is made with another Lawn Fawn set called ‘Hippo Birdie’. This is the one that will be from my kids to their cousin. Do you remember the character from The Muppets – the Swedish Chef? When I read ‘Hippo Birdie’ I kind of do it in his accent!! I know Tom loved The Muppets when he was little so I’m hoping he’ll be thinking on the same lines as me!! 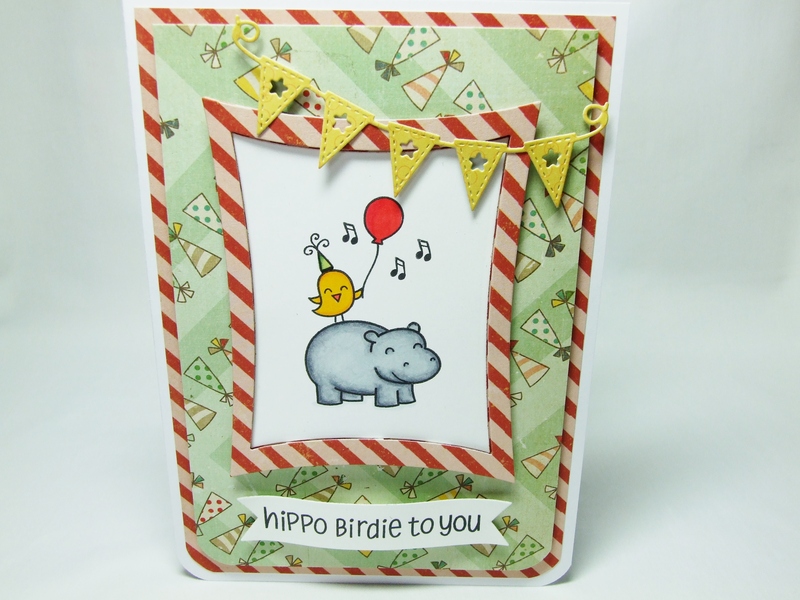 I used:’Hippo Birdie’ stamp set by Lawn Fawn, Kaisercraft banner die, Spellbinders Wonky rectangle die, Joanna Sheen bunting die and Crate Paper – ‘Party Day’ collection. 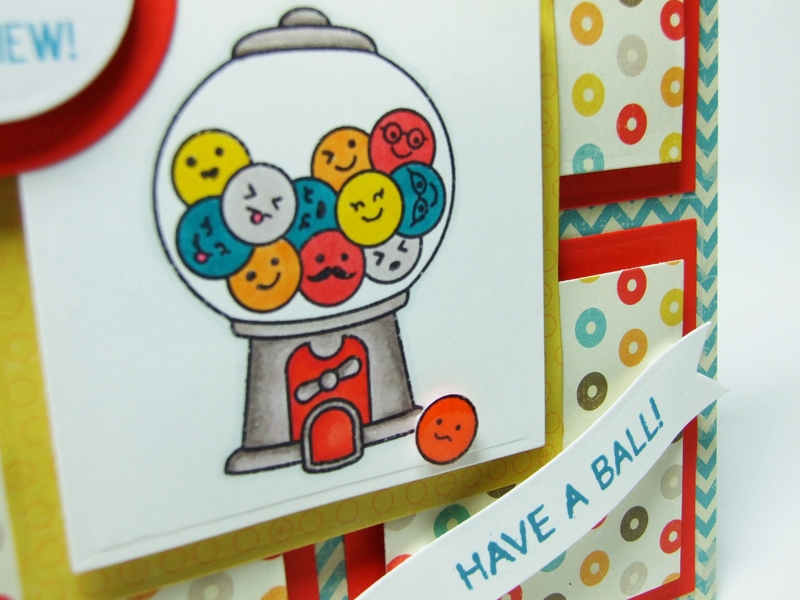 ‘Sweet Smiles’ stamp set by Lawn Fawn, Spellbinders square die, Spellbinders circle die, Kaisercraft banner die, My Minds Eye – ‘Boy Crazy’ collection, Spectrum Noir pens and Glossy Accents for the worried looking gumball! < Previous ‘To an Out of This World Daddy’…..
A big Muppet fan here! Manamana deet dee dee deet dee LOL! Animal was my favorite with the Swedish Chef and Beeker a close second. Super cute cards, Karen! 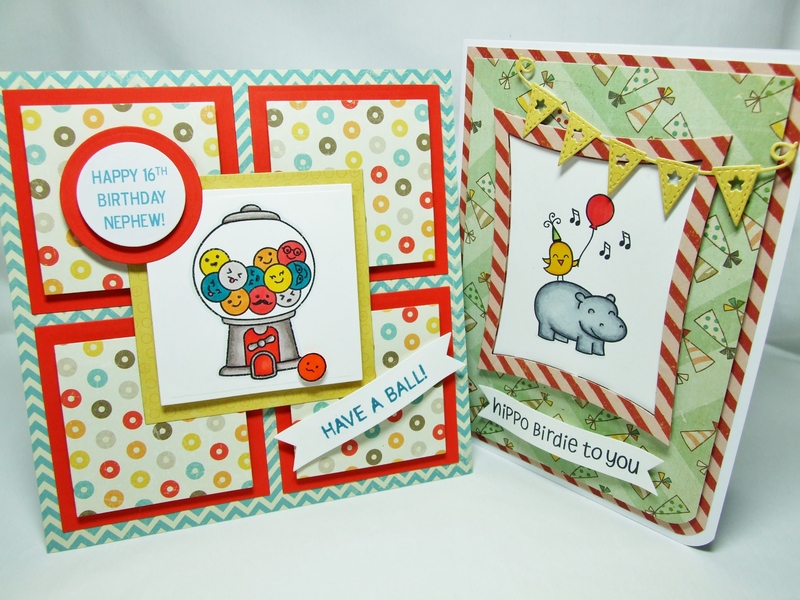 Love the fun colors and fun LF stamps!